For four glorious days in March, the 2019 London Coffee Festival took place at an East London brewery. With the smell of freshly roasted coffee wafting through the air, hundreds of up-and-coming brands, established coffee producers, dairy companies and cafe owners showcased their products to a packed venue. Now that it’s all over for another year, what do you think Europe’s largest exhibition of its kind brought to the (coffee) table for 2019? Additionally, what should you be on the lookout for in the coming year? Well, here's an inside look at seven up-and coming coffee trends that you will surely be seeing more of in 2019 and beyond. Non-dairy milk was big news this year at the Festival. 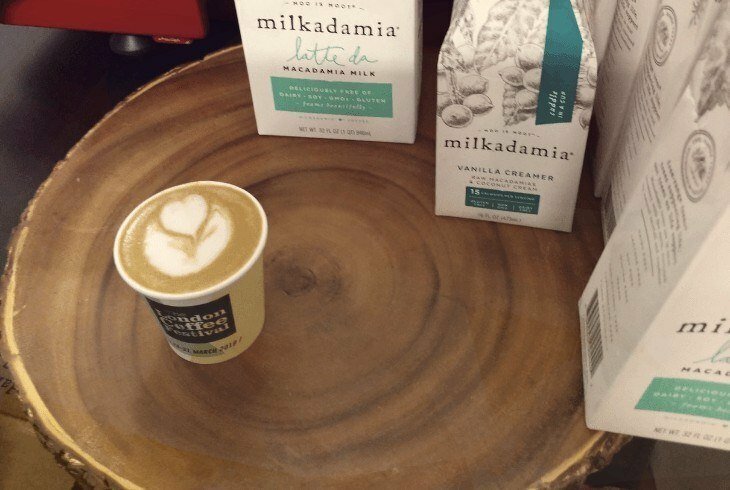 Here's the plant-based brands we saw, displaying every kind of plant milk imaginable. Be that as it may, Alpro took things one step further. How you ask? Well, they were demonstrating how pairing different plant-based milks with single origin coffees from around the world can unlock unusual flavors. One example being, the delicious berry notes released by combining coconut milk with a Colombian roast. With veganism and plant-based eating rapidly taking over the food and drink industry, non-dairy in the coffee industry is gaining attention that’s set to continue into 2019 and years to come. In keeping with the fair trade and ethical sourcing theme that was a feature of the Festival in 2018, this year brought female empowerment brands. 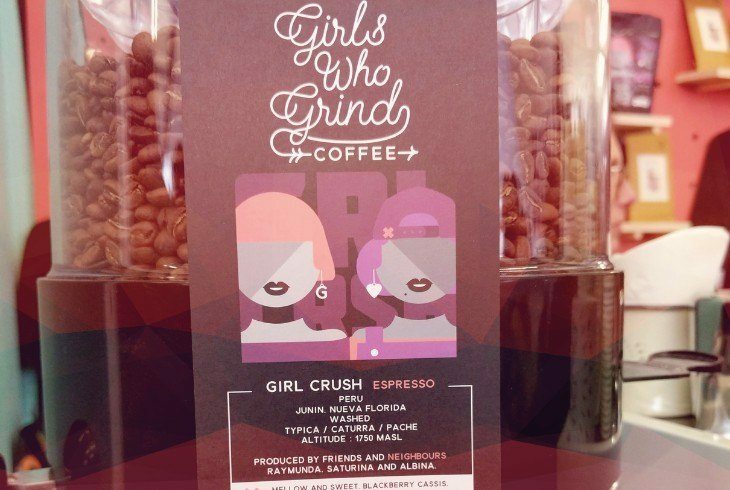 For instance, small-batch roastery (GWG) Girls Who Grind, founded by a team of two in Southwest England and working only with female coffee producers around the world. 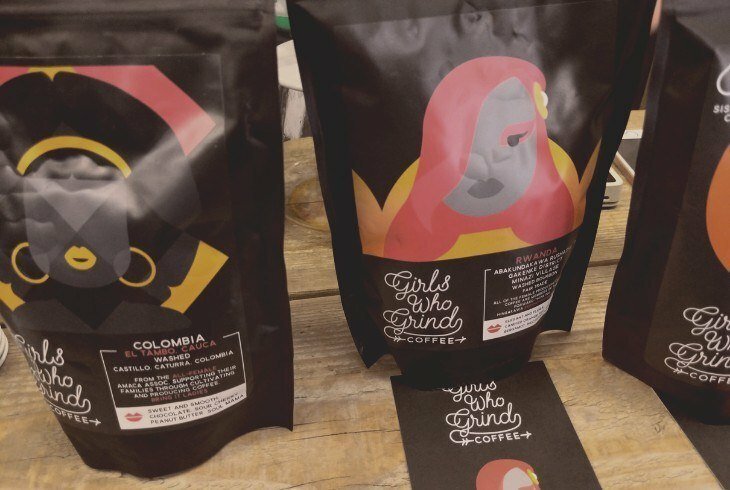 GWG’s colorful packaging (pictured below) features the names and stories of the individual female farmers and business owners responsible for each product in their range of single origin whole bean roasts. Right in line with the theme of this years festival, a panel discussion on the topic of women in coffee kicked off Thursday afternoon. Furthermore, with non-profits like the International Women’s Coffee Alliance getting attention from big brands like Starbucks, more women are being recognized for their work in the coffee industry. As a cool consequence, this shows signs of becoming a continuing focus for coffee brands everywhere. It's no surprise, single-serve coffee makers have taken over the market. 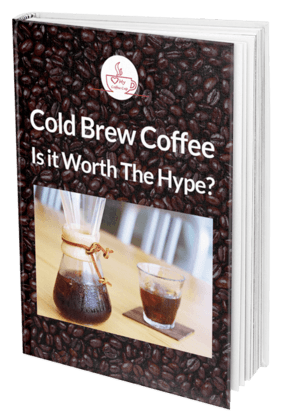 More and more of us coffee-lovers are becoming aware of the environmental cost of brewing more than we need. One-cup brewing methods were a popular theme at this year’s Festival. 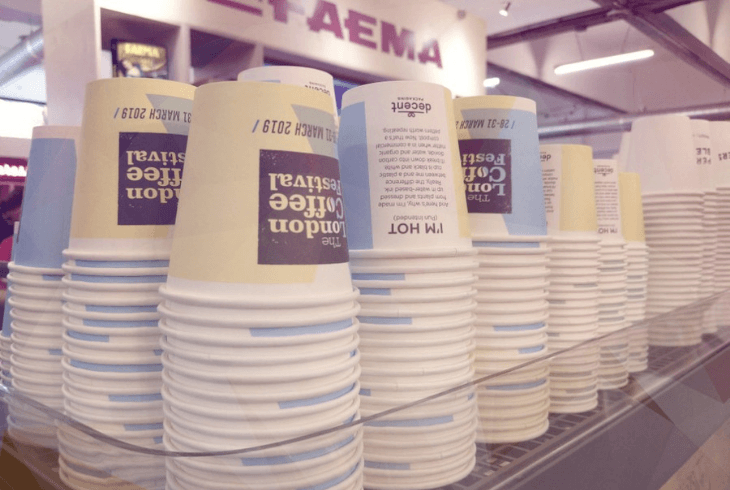 With brands like Barista Cup demonstrating the positive impact not only on the environment, but on flavor as well. Something we found interesting, were the bespoke coffee bags and compostable coffee pods. Which are all compatible with mainstream machines like Nespresso. However, the star of the show, with their concept in single-cup brewing was the Barista Cup. Which is an award-winning flask that works somewhat like a cafetiere (in miniature). 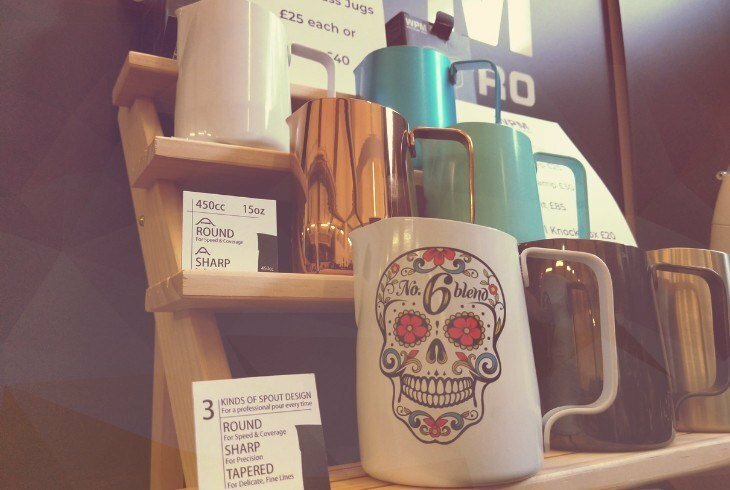 Moreover, in-keeping with the zero waste theme this year, it saves up to 50% of the coffee normally needed for a cup, whilst releasing flavor-filled oils and crema from the bean. Expect to see far more single-cup methods coming soon. On to cold brew, one of our favorites. 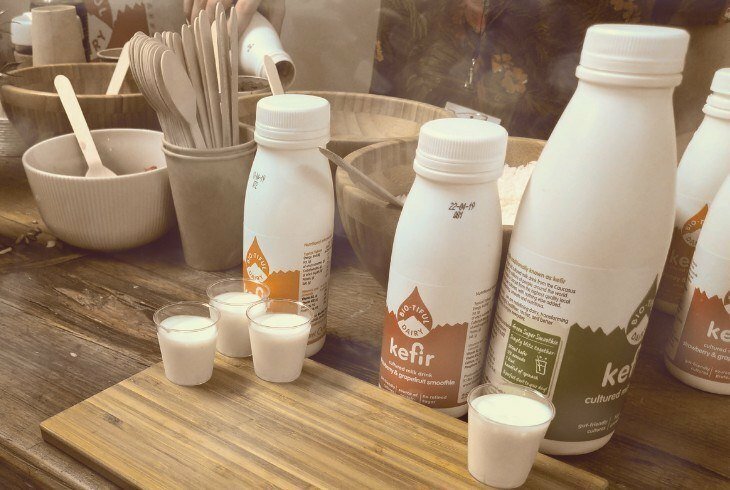 Both kefir - a fermented yoghurt drink similar to Turkish lassa and rich in healthy bacteria - and cold brew coffees have been big news lately. Probiotics brand Bio-tiful Dairy combined the two with their “kefirccino”: a dessert-like combination which they served at the Festival topped with whipped coconut cream, flaked almonds and goji berries. To our disappointment, all the samples were long gone by lunchtime on Saturday, Which in turn, proves that it’s a winning combination, and one that we’ve probably not seen the last of. Thanks to traditions like the tea ceremony, folks have been drinking tea mindfully for centuries. Moreover, with the increased focus on meditation and mindfulness in popular culture, it was only a matter of time until the same concept was applied to coffee. 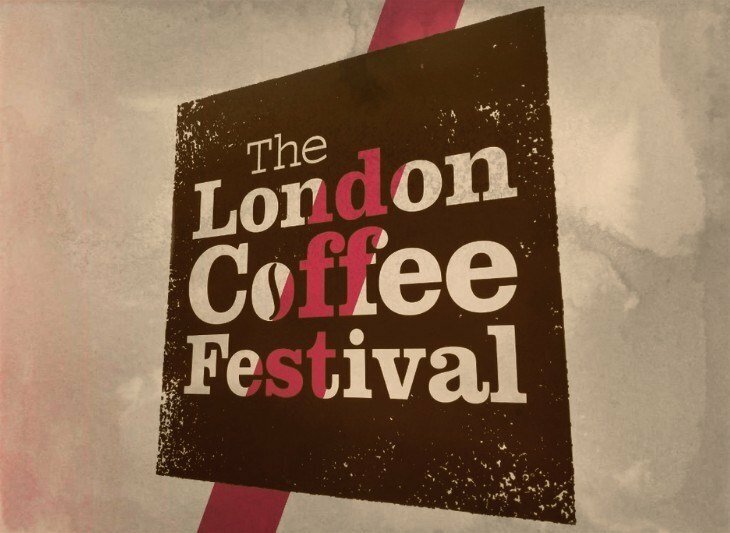 For the first time in 2019, the London Coffee Festival featured tasting sessions complete with guided meditation. Which were hosted by Just Breathe expert, Michael James Wong. Each session lasted 45 minutes and aimed to inspire a deeper understanding and greater appreciation of coffee away from the busy crowds of the Festival. With a reputation as a grab-it-and-go drink, slowly appreciating the process of preparing and drinking coffee seems like a welcome contrast. Mindful coffee is all about considering the journey your brew took to your cup. All the while being mindful of the environment. With cafes like Omotesando (a Japanese coffee shop aiming to bring the spirit of tea ceremony to coffee) expanding out of Tokyo and into London, mindful coffee is gaining ground (no pun intended). Get ready to see much more of this in 2019 and beyond. Specialty milk created specifically for use in your coffee has been around for a long while in cafes. However, with the rise of the home barista, it’s now entering the market for general buyers as well. We should mention that WPM's latte art pitchers have gone viral on Instagram for their ergonomic design and funky visuals. Largely thanks to Instagram and Pinterest, creating picture perfect lattes is now a skill that many of us want to master. So, chances are good we’ll be seeing a growing market for stencils, milk frothers and more tools that make it accessible to all. Did you say it's cocktail time? Seriously, eco-friendly coffee isn’t just about reusable cups anymore, it's also about reusing the coffee grounds. Additionally, it's not just for compost, but for new drinks as well. Here's an up-and-coming brand, Discarded. Their Sweet Cascara Vermouth is created from the discarded cascara. Which is, the fruit that is usually thrown out when the bean is extracted from the coffee berry. They hosted a Zero Waste Cocktail Masterclass, where festival-goers learned how to make cocktails using cascara vermouth and leftover coffee grounds. 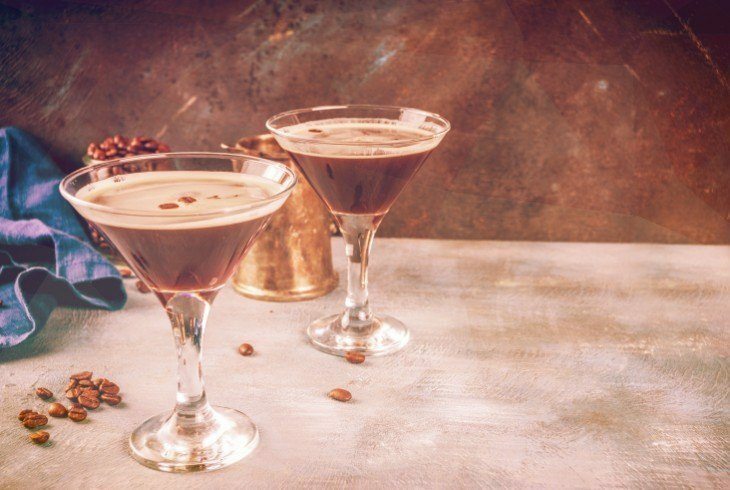 Therefore, It's no surprise that sustainable cocktails are gaining popularity, and coffee-based drinks like the Espresso Tonic or Martini are showing no signs of going away any time soon. Eco-conscious coffee liquors are set to become a trend to look out for in 2019.